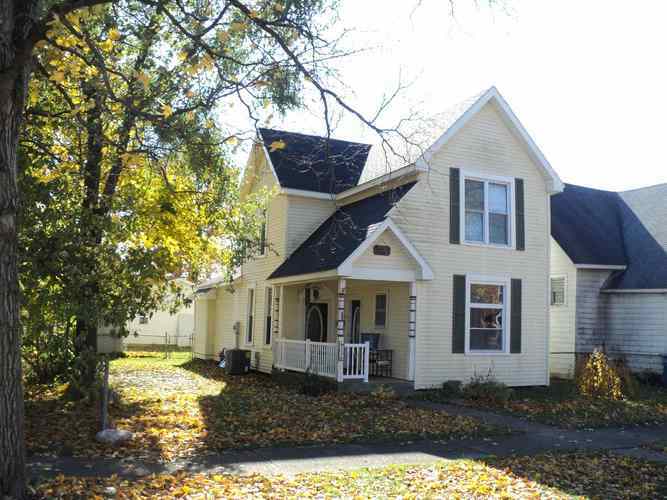 Nice 3-4 bedroom home with updated windows, cabinets, doors, furnace, central air, baths. electrical. Open front porch. Large 2 car oversized detached garage with separate electrical box. 1 shed remains. Wood deck in rear. Alley for easy access to garage. 4th bedroom upstairs has no closet. Seller still removing personal property and will be removed by closing. Directions:SR22 East or Main Street in Gas City to South on 2nd St. to East on B Street. Listing provided courtesy of House Hunters Real Estate LLC.